Happy Global Running Day, friends! 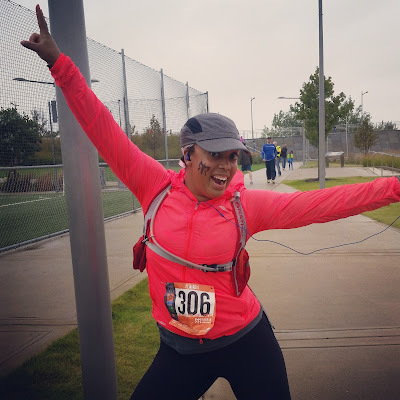 For the second year in a row, I am linking up with my fellow Sweat Pink Ambassador Kristen from Jonesin' for a Run for a National/Global Running Day Interview! I'm also linking up with the Wild Workout Wednesday ladies, especially since they're focusing in on Global Running Day this week. Bonus: Nicole from Fitful Focus included one of my speed workouts in her Ultimate Running Workout Roundup post today! I love reading about people's relationships with running, and am often inspired by what gets people running in the first place! I usually learn something new about running when I read these interview responses. 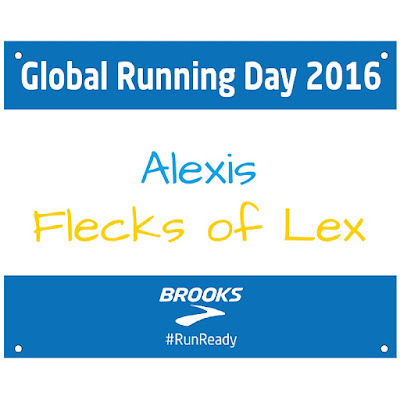 I hope you get a chance to read some too and learn a little something extra about running today! Why do you run? Running is extremely therapeutic for me, but it's also helping me with my weightloss journey. I like to escape into the wilderness or the concrete jungle for a little while just to clear my head and be by myself. Most of my waking hours are spent with other people, and it's nice to have some alone time. It's a great time for reflection! How many miles have you run so far this year? Do you have a mileage goal for the year? I’m really bad at figuring out my cumulative miles, but I also don’t set a mileage goal. Maybe that’s why? Maybe I’ll include it in my running resolutions for next year! What big events do you have on the race calendar so far this year? I’ll be running my first marathon this year, which is the most exciting thing on my race calendar! Before I leave for a run I must have: My music! Running without music is absolute torture for me, unless I’m trail running! Do you track your runs? If so what do you use? Oh, totally! I’m a tech geek when it comes to running! I use my Garmin, which does a lot of the tracking for me, but I also use my Milestone Pod and the RunGo App. I’ll be giving away another Milestone Pod at the end of this month, so stay tuned! Who is your favorite running partner? I don’t usually run with other people, but I would probably say my friend Judy, when she runs with me. She’s faster than I am, but she always slows down to my pace, and it makes me speed up! If you have to give someone one piece of advice about running, what would it be? Don’t take yourself too seriously when you’re starting out! Learn to enjoy running at your own pace, and don’t compare yourself to other runners. Describe your relationship with running in one word: Dysfunctional. Thanks for joining me today! Make sure you check in tomorrow for the Thursday Throwdown linkup! We're moving to a weekly format, and this month's theme is... SUMMER! I didn't run yesterday either--my PF is flaring and I needed that day to let it calm down!